The large scale of a home renovation project can mean large costs that have to be managed over time. The ability to control these costs allows you to focus more of your attention on the task at hand and not be encumbered with financial concerns. Isn’t every DIY homeowner’s dream to have access to an extensive line of products, a vast array of services, the utmost care and attention from experts AND the financing abilities to make it all happen? At Mario’s True Value Home Center we can help. 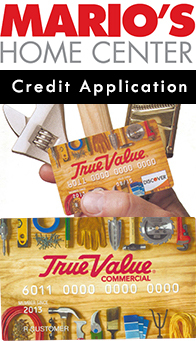 We’re now offering a project-financing program through the True Value program. Sign up in minutes and take advantage of one of our featured programs at either of our locations. 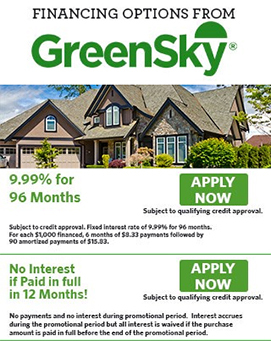 You have a choice between our 6-Month No-Interest program and the fixed 9.9% interest rate. And don’t forget to ask about our special deals and sales. Stop in and ask us about our project financing today!